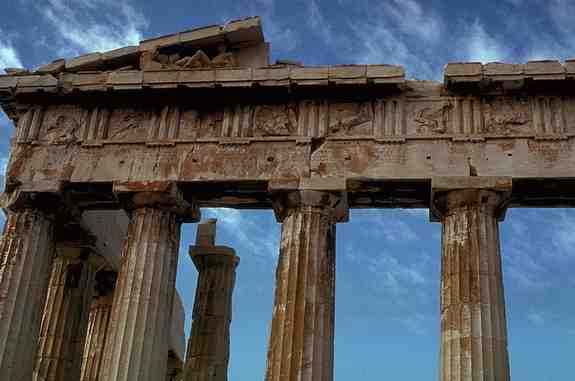 The photograph at the top of the page, by Kathleen Cohen (no relation), is of a detail of the facade of the Parthenon. This great temple on the Acropolis in ancient Athens was designed by the architects Ictinos and Callicrates. It was built between 448 and 432 BCE, approximately 50 years before Aristotles birth in 384 BCE.